Former Pilot Flying J President Mark Hazelwood was sentenced to 12½ years in prison and fined $750,000 on Sept. 26 for his leadership role in a multimillion-dollar scheme to cheat truckers out of diesel fuel rebates. A Chattanooga, Tenn., jury on Feb. 15 had found Hazelwood guilty of conspiracy, wire fraud and witness tampering, after what the presiding judge called a “contentious, hard-fought, 27-day trial” that at times had from 10 to 15 defense attorneys representing Hazelwood and three other Pilot executives charged in the conspiracy. Hazelwood’s sentencing was handed down Sept. 26. Federal prosecutors wanted Hazelwood to be sentenced to 14 to 17½ years in prison as well as the $750,000 fine. 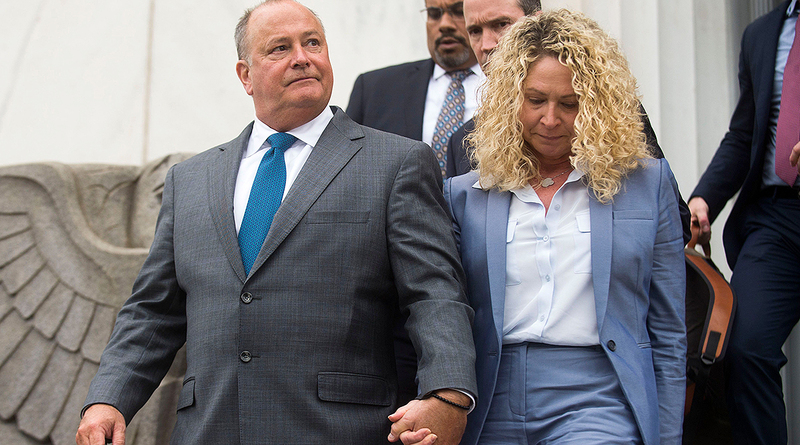 Two of Hazelwood’s co-defendants, Pilot executives Scott Wombold and Heather Jones, also were found guilty of federal charges. Another executive, Karen Mann, was found not guilty of a single charge. According to a one-page sentencing document, U.S. District Court Judge Curtis Collier directed that Hazelwood begin serving his sentence on or before Nov. 30 at 2 p.m. He will be on probation for three years after completing his sentence. Collier also recommended that Hazelwood undergo 500 hours of substance abuse treatment, but did not detail the reason for the recommendation. Two of Hazelwood’s co-defendants, executives Scott Wombold and Heather Jones, also were found guilty of federal charges. Another executive, Karen Mann, was found not guilty of a single charge. A spokeswoman for the United States Attorney’s Office for the Eastern District of Tennessee declined comment. The office could not comment because several other defendants in the Pilot case who have either pleaded guilty or been convicted have not yet been sentenced, she said. Hazelwood and seven other Pilot executives were charged in February 2016, accused of playing a role in a scheme to cut motor carriers short of rebates the company had promised for purchasing diesel fuel. Hazelwood and three other executives pleaded not guilty, while four other executives pleaded guilty. Prior to Hazelwood’s trial, 14 former Pilot sales executives previously had been charged, pleaded guilty and agreed to cooperate with the government while awaiting sentencing. In his plea agreement filed in July 2017, John Freeman, a former national sales vice president for Pilot, admitted to being the architect of the fraud, which shortchanged trucking companies on their diesel fuel rebates. He said he and those who reported directly to him cheated customers out of $7 million to $9.5 million in rebates. The Pilot case began with a raid on the company’s headquarters in Knoxville, Tenn. More than 50 FBI and IRS agents poured into the company’s three-story offices on the afternoon of April 15, 2013. In addition to searching for records and computer files, they had plans to quickly isolate 14 key Pilot executives for interviews with a total of 28 agents. Once agents had secured the building and began their search, a separate seven-member team looked on to ensure that any of the documents agents obtained or viewed were not confidential or privileged. Pilot already has paid the federal government a $92 million penalty to take responsibility for the criminal actions of the employees involved, but the agreement did not preclude individual prosecutions. Also, in November 2013, a federal judge in Arkansas approved an $84.9 million settlement offer from Pilot to reimburse as many as 5,500 customers included in a class-action lawsuit against the company.